.....but not what we want. Beating the banks has been pretty good with the flounder, pups and yearlings. I just spoke with Capt. Gary who also hooked a couple of old drum while flounder fishing today. There are tarpon up the river and out in the sound, but they've been acting like tarpon, seldom "showing" and even more seldom biting, although we did jump one off yesterday. The big drum have been a little lazy, getting just enough of those to make the day, but not the big numbers that we should be starting to catch any day now. delusional and dehydrated. Sight casting big drum. The shrimp. Wow, those tarpon can be frustrating. Derek Jordan said that I was delusional and dehydrated after 12 hours of frustration on Saturday, but it all worked out. We managed to beat down a double header tarpon, congrats to Derek and Daniel. We also had some very, very cool sight casting for the big drum. This is one of my favorite things to do. There is nothing like seeing 10-15 giant drum eating crabs up on the surface. They readily ate our bucktails through the weekend. ....but then all that and the tarpon dried up and left me very frustrated the last few days. Thank goodness the big drum are being consistent, especially the late afternoon bite. Add another tarpon to the tally, also 8 big drum before the storms ran us off the water. Capt. Gary caught 8 big ones this afternoon on his charter, his morning trip was full of trout and pups. "I will tell you that Meredith was so excited about the skates that she now has my 4 year old asking to go. You may want to consider skate trips for the under 14 clients. This should be an untapped market!" although we did have a great morning of tarpon fishing yesterday, getting bites from two very large fish only to lose them after plenty of air time and good battles, fishing in general has been a little tough. I think that I like the week before the full moon much better than the week after the full moon. 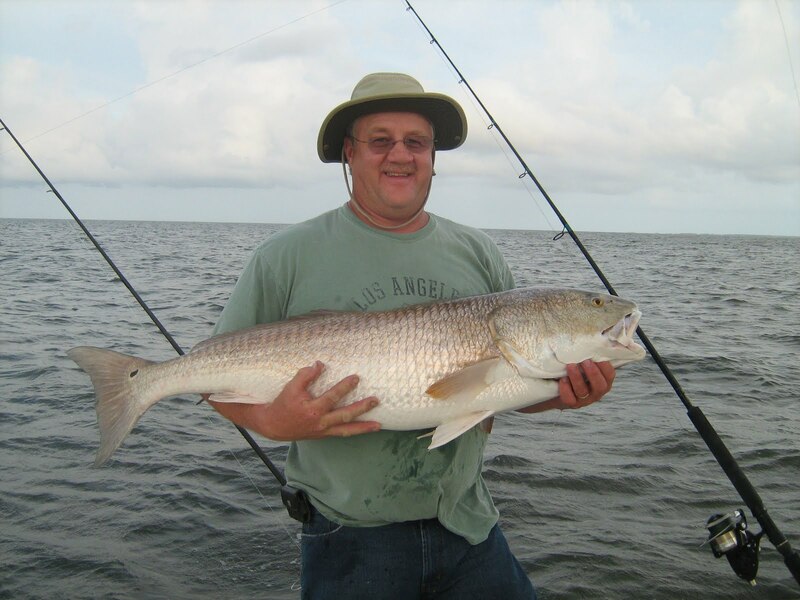 Even the afternoon drum fishing has been a little lack-luster, averaging 2 or 3 big drum per afternoon. In Costa Rica, Capt. 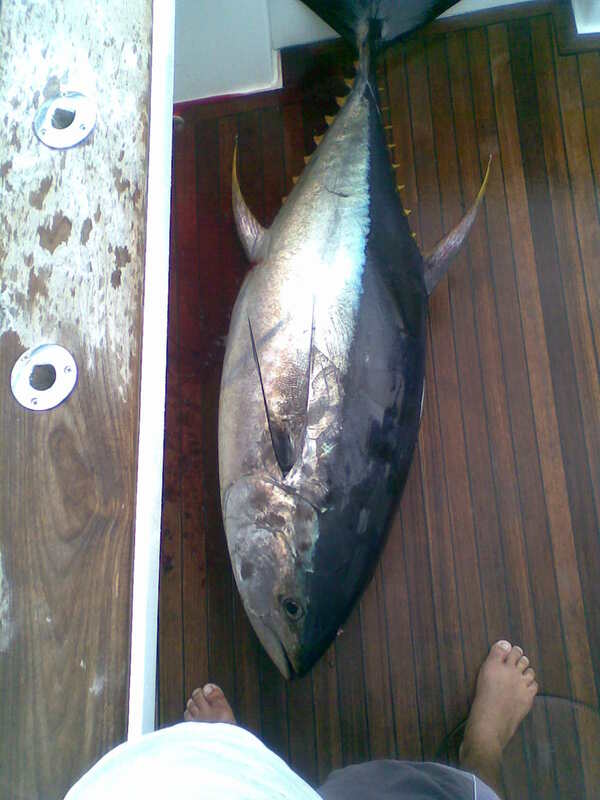 James says the fishing is picking up on the Dragin Fly, 6 sails yesterday and a nice black marlin the day before. Two fantastic half day trips on Tuesday. In the morning with Jake and Tuck for an on-the-water seminar. Starting off with 3 keeper pups, 3 keeper flounder and 7 decent trout, finishing the morning out with 1 for 2 on the tarpon. What a morning! 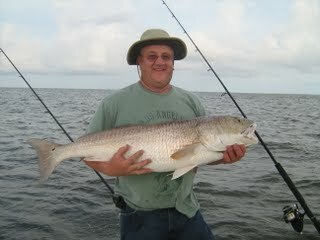 In the afternoon, no tarpons, but we did beat down 8 big drum. Yesterday morning.......a zero. The curse continues for some. After blanking out yesterday during the crazy blow/storms.....well we did catch 2 pups for dinner and 2 yearlings....I got a little more satisfaction today. First catching a 50 inch drum, then finding the tarpon in the sound. We caught a quadruple header, 2 anglers and 2 rod holders, all fighting fish at the same time. 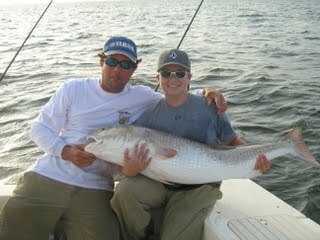 One of the 4 ended up being another big drum......then we got run in by the storms. After three days of tarpon fishing, having tarpon around the boat and getting very few bites, I have been due and very much ready for some "satisfaction". Even after unconvincingly winning the tarpon tournament this past weekend, I was not satisfied. I got a little satisfaction this afternoon. First a quadruple header of big drum but the bite died so I made a move. Within two bait changes we were hooked up with a tarpon. After landing, photos and taking a DNA sample, we got the rigs back out. We quickly hooked a 2nd tarpon which turned into a double header as a rod on the opposite side of the boat with our third tarpon. Two and a half hours of fishing, 4 big drum and 3 tarpon. That was satisfaction. Capt. Brian was getting a little satisfaction up the road a piece, catching several big drum and a surprise tarpon. A couple miles away, Capt. Ray was making the day with the big drum.